Staff were friendly our stay was great and there was a spa leisure & pool available. Good location - right in the middle of bundoran, near plenty of pubs and place to eat and right beside a really good surf shop. The staff were also very friendly and week as helpful as they could be. Breakfast was also decent. The staff at the front desk were friendly and helpful. The staff in the restaurant were excellent: efficient, friendly, etc. The location is good because it's central and right across the street from the start of the ocean walk, a quick walk to the beach, etc. BUT my room was on the main road and was very, very noisy ALL NIGHT LONG every night, with cars going by non-stop plus people coming out of bars and yelling in the street, etc. So, great location to be in when leaving in the morning to go about your day, TERRIBLE place to sleep. The hotel is older, and very quaint. Very nice coffee and tea service in the room. Great location, great view. Wonderful staff--friendly, helpful. The owner met us and we had a nice visit. Nice little town for visiting nearby beaches and megalithic monuments. The hotel has a spa experience but unfortunately we weren't able to take advantage. The location and view were amazing. The staff was helpful and breakfast was excellent. The view from the lounge overlooking the bay was fantastic, and the food in the restaurant was great value. We had personal attention from the owner who seemed to chat to all his customers everyday. The pool was ok and car park spaces were easily came by. 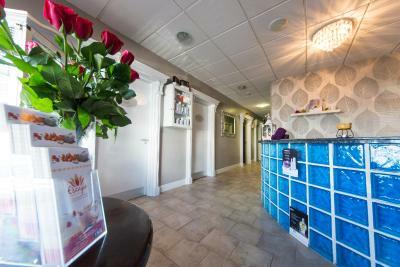 Holyrood Hotel - Leisure Centre & Escape Spa This rating is a reflection of how the property compares to the industry standard when it comes to price, facilities and services available. It's based on a self-evaluation by the property. Use this rating to help choose your stay! 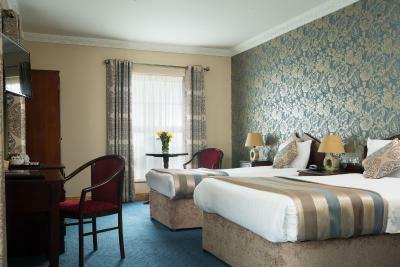 With an indoor pool, hot tub and Scandinavian sauna, The Holyrood Hotel overlooks Donegal Bay. 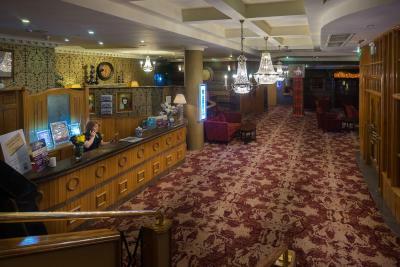 In the very center of Bundoran, the hotel is just a 5-minute walk from the town’s Blue Flag Beach. 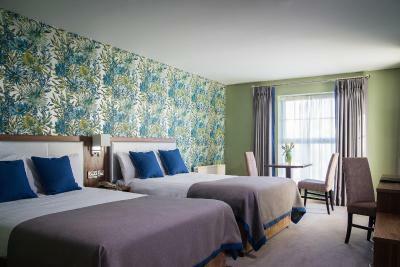 Each brightly furnished room features a private bathroom with shower and hairdryer. There is free tea and coffee, and guests can relax with a TV in the room. The leisure club and spa offers free entry to all guests, and includes a bubble pool for children and an air-conditioned gym with 30 work-out stations with gym machines. 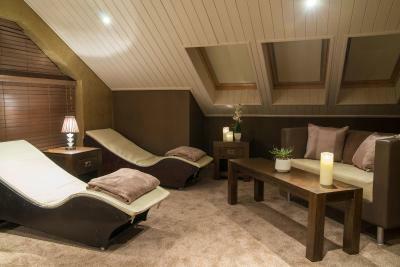 The spa provides 6 treatment rooms and a relaxation room, with a range of luxurious treatments. The Watermelon Restaurant serves a selection of local and international cuisine. The Waterfront Bar provides an extensive bar menu, exotic cocktails, and a wide range of wines. 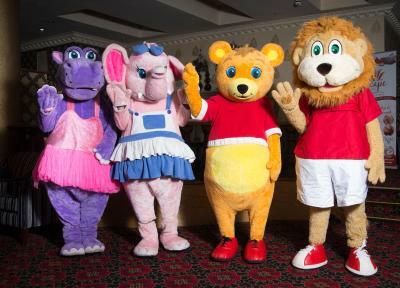 There is a kids' club from July-August, and the hotel can organize entertainment for children. Free parking is available, and Bundoran’s 18-hole Golf Course is just 15 minutes’ walk away. The many restaurants, bars and nightclubs of central Bundoran can all be reached within a 15-minute walk. 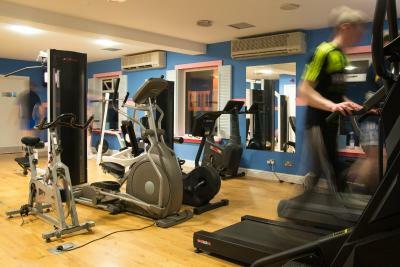 When would you like to stay at Holyrood Hotel - Leisure Centre & Escape Spa? 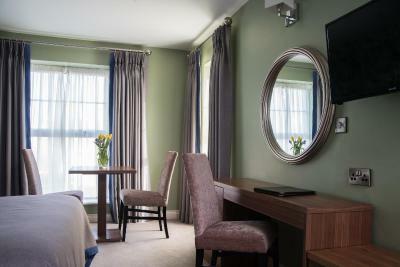 Single Rooms have a double bed, en suite and tea/coffee-making facilities. This room with attached bathroom offers a multi-channel TV and a writing desk. Tea and coffee making facilities are included. 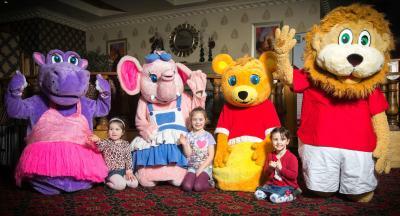 Suitable for 2 Adults + 2 Children under 12 years of age. 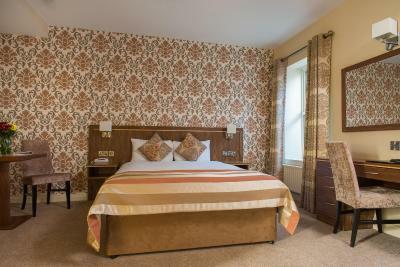 The Holyrood Hotel, Blue River Leisure Centre and Escape Spa is located right in the heart of the beautiful town of Bundoran, just steps away from the gorgeous Blue Flag beach, loved by families, surfers and romantic strollers alike. 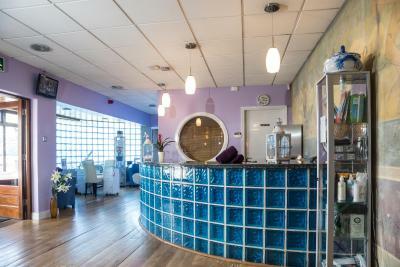 The leisure centre with swimming pool and wonderful spa offers the excellent place to relax and unwind before enjoying a delicious meal in the restaurant. There are so many activities on the doorstep to explore and the welcoming McEniff family and team are on hand to recommend the best activities locally. With the go!kids! activities running throughout the school holidays it is the ideal choice for families. The great location, cosy rooms, warm welcome and delicious food are all what make the Holyrood Hotel a fantastic choice for a nice break. 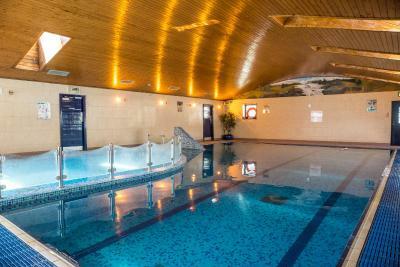 House Rules Holyrood Hotel - Leisure Centre & Escape Spa takes special requests – add in the next step! Holyrood Hotel - Leisure Centre &amp; Escape Spa accepts these cards and reserves the right to temporarily hold an amount prior to arrival. Holyrood Hotel - Leisure Centre & Escape Spa accepts these cards and reserves the right to temporarily hold an amount prior to arrival. Most of the staff where very pleasant . The room was clean comfortable and warm. Staff were very friendly and helpful. Staff wonderful, room spacious only thing had booked room with double bed and three single beds. Didn't get that when called reception was told it was gone. Lots going on for kids. The staff were Excellent, every single one of them. We had lovely comfortable rooms. Room was decent size. There was good choice for breakfast. There was no power in the water in the shower or sink. The Decor in the room was dark and lighting was not good. TV did not work reported it to reception but nothing was dine. Too expensive for what we got. Kept awake during night 1.00am - 2.30am by noisy guests. Unable to regulate temperature on shower. Breakfast was very basic ,and cold eggs overcooked, scrambled egg had something strange in it. Reported to waitress & reception staff who aid they would investigate.